Today is the big day! Halloween is upon us, one of the most exciting days of the year for many kids (and those of us who are kids at heart). For homeowners too, it can be a great way to show off your creativity and decorating skills. 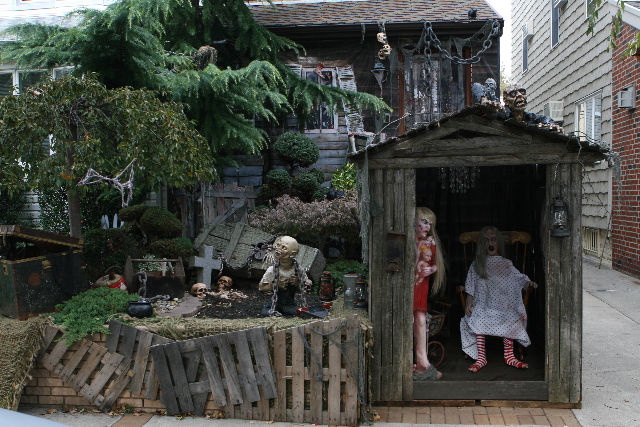 Although most of us might put up a few decorations and hand out candy, all of the houses on this list take it to the next level with what looks like hours of work in order to create these spook-tacular displays! Extra** This creative and spooky drone was too cool not to include! 3. Nuclear Waste Contamination. Watch out for mutants. 10. The House That Ate Halloween. 13. The Best For Last!